Today I attended a local "Birder Patrol trip" to observe hawk banding by Bill Clark. 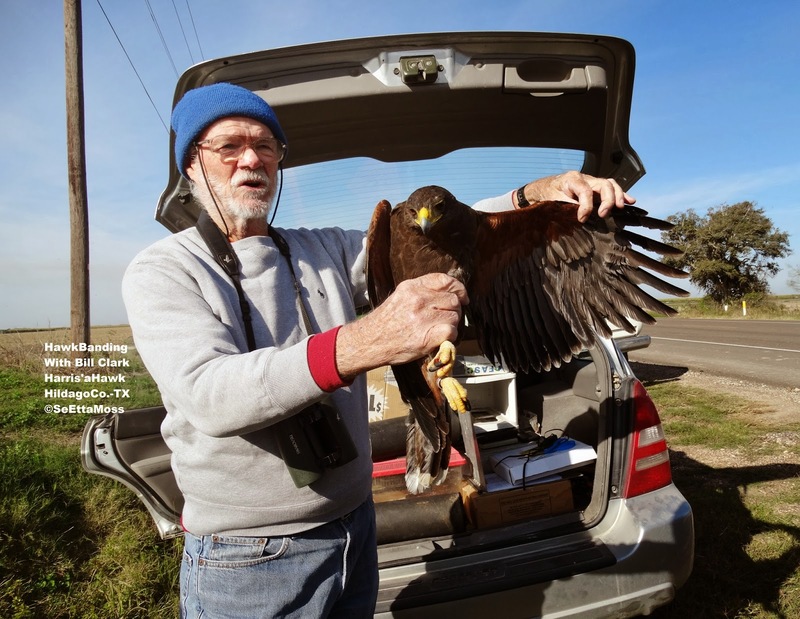 This is Bill Clark, raptor expert, who bands hawks in the LRGV. And this is an adult female Harris's Hawk that he and his team (Mike and Gus) caught today. Bill shows off this pretty hawk's wings. Big claws for a mid-sized hawk let it grab and hold prey tightly. Yesterday I planned to drive into the La Lomita Church (a local historic site) park where my dog, Chase, can run around off leash usually as there are usually no one else there. And it's a pleasant place to do a little birding for a few local specialties. 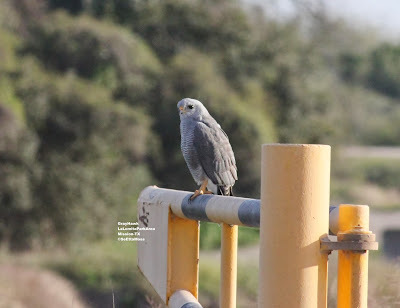 As I drove towards the park I spotted a small hawk on a post in front of the entrance--it was this Gray Hawk. I angled my car a little further so I could take photos of the hawk from inside my car to minimize disturbance. 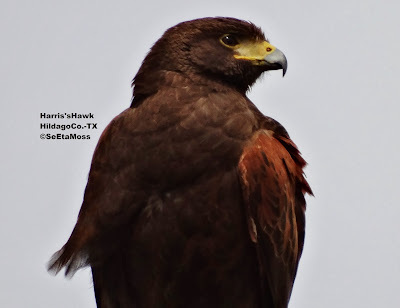 Doggone my Canon 60d dslr camera-even with all the bells turned off it still makes a clicking noise when I take photos and the hawk appeared to hear them and flew up into the trees. 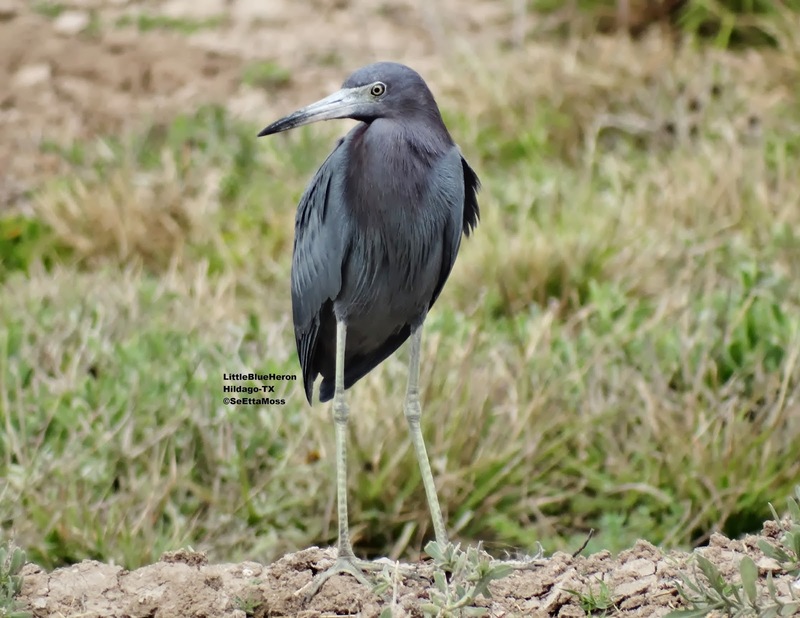 Stephanie Galla and I went birding in the Upper Rio Grande Valley yesterday. We were pleased to find not only one but 2 Gray Hawks while we were at Chapeno. 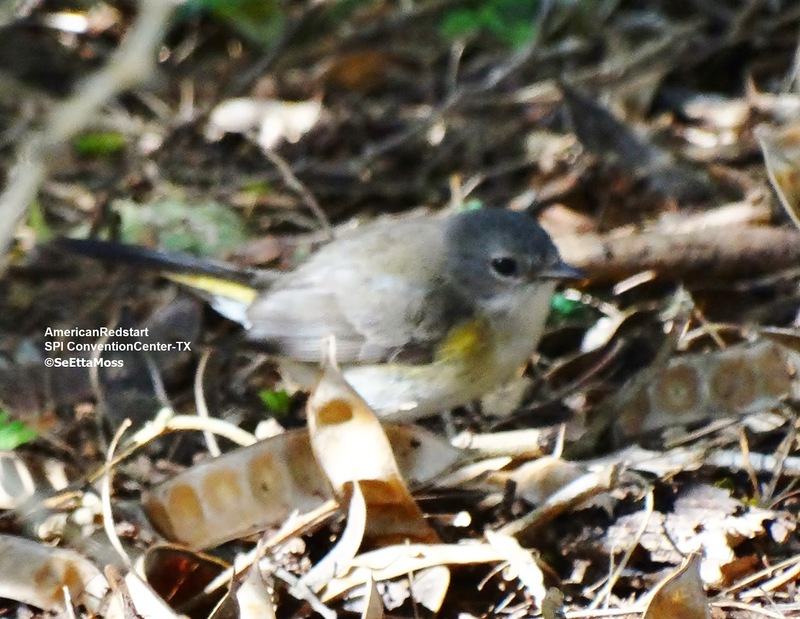 The photos of in flight Gray Hawk are of one of the birds. The perched hawk is the second Gray Hawk. They were both pretty near each other for more than 15 minutes without apparent antagonism so seems likely that in this season they are a mated pair. 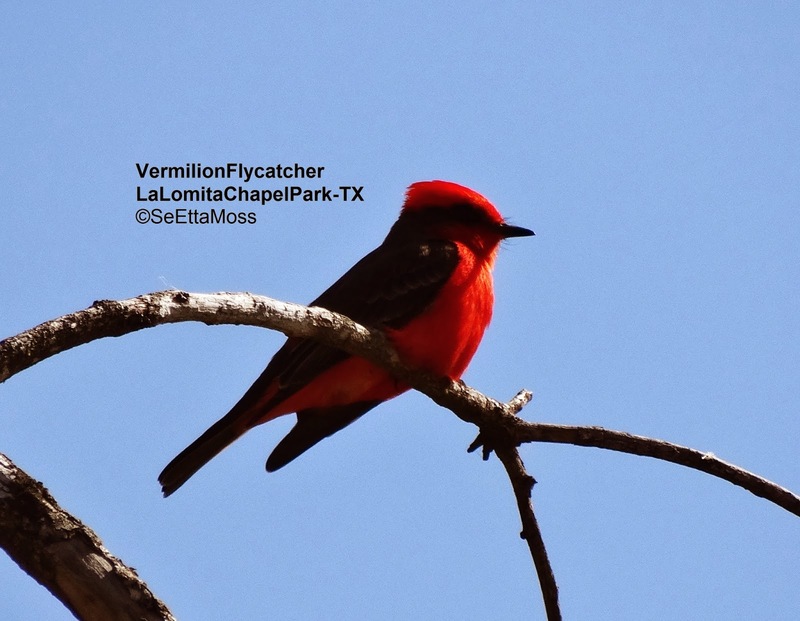 While we were at the feeders in Salineno Michael Marston and a group he was leading arrived and shared the fun. 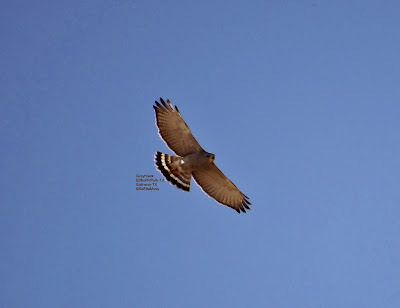 Michael spotted this Zone-tailed Hawk as it did a fly-over. It kept circling as it moved away so the hawk was more than a hundred yards away when I got this photo. Several Atlamira Orioles came in to feed while we were there. We enjoyed watching this Greater Roadrunner at Falcon State Park as it hunted insects on and near the road for more than 20 minutes. There was a flock of about 15 Least Sandpipers on the rocks in the Rio Grande River at Chapeno.